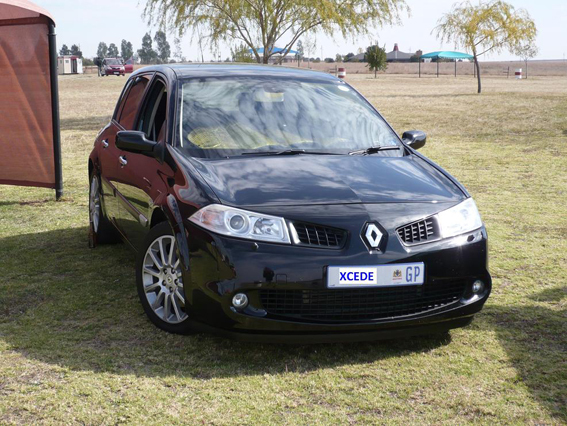 Xcede Performance » Renault Megane Turbo Remap! 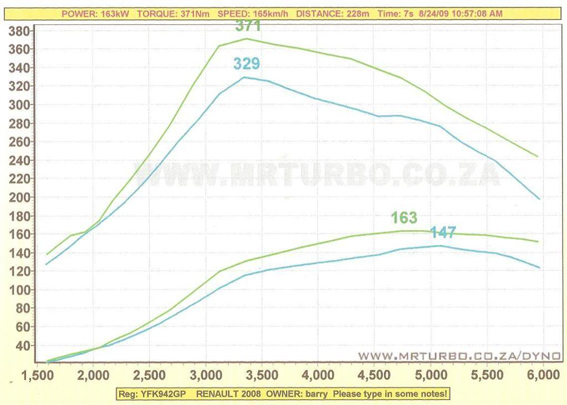 Xcede Performance have managed to successfully map the Renault Megane Turbo. This ECU is very difficult to crack but after many hours of logging and mapping on the dyno we have created a file that delivers extremely smooth, reliable power. Here is the graph of a stock car with very low mileage with pump fuel & then the same car with our software only. There is a 25kw gain on the wheels at 6000rpm. Averaging around 22kw gain throughout most of the range. The torque gain is over 40NM on the wheels.